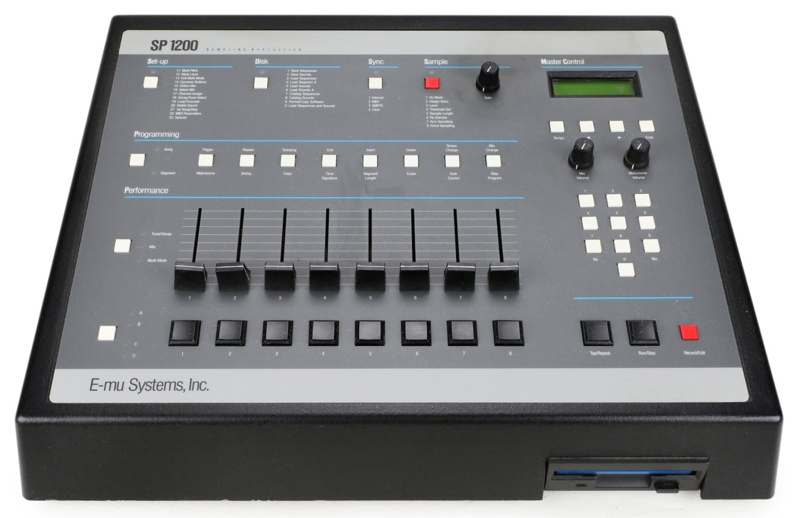 The first time I saw an SP1200 I was an intern for a rap engineer called Paul C, I learned a lot from working with him. He was working with a group called ULTRA MAGNETIC. Paul took samples from records, LP's and 45's, he'd loop a section of a song, then he sampled the kick and a snare drum after that he played a beat that gave the loop a hip hop feel. After about 10 minutes of playback they decided to change the snare Paul pulled out a 3.5 disk put it in the disk drive and loaded about 5 snares. The sound the SP1200 produced gave each sample more bite, power, and sometimes a cool tonal ring. What made this machine so hip was you were able to have more of a choice of drum sounds with tuning. So I traded-in some equipment and brought one. I spent about 5hrs a day for about two weeks, while interning I watched the other engineers on the SP1200, then I mastered it that was the first machine I mastered and it was so much fun, I quit my job cause I found a better one, those were the days the beginning of hip hop. This DVD will give you all the secrets you need to make phatt beats and grooves.